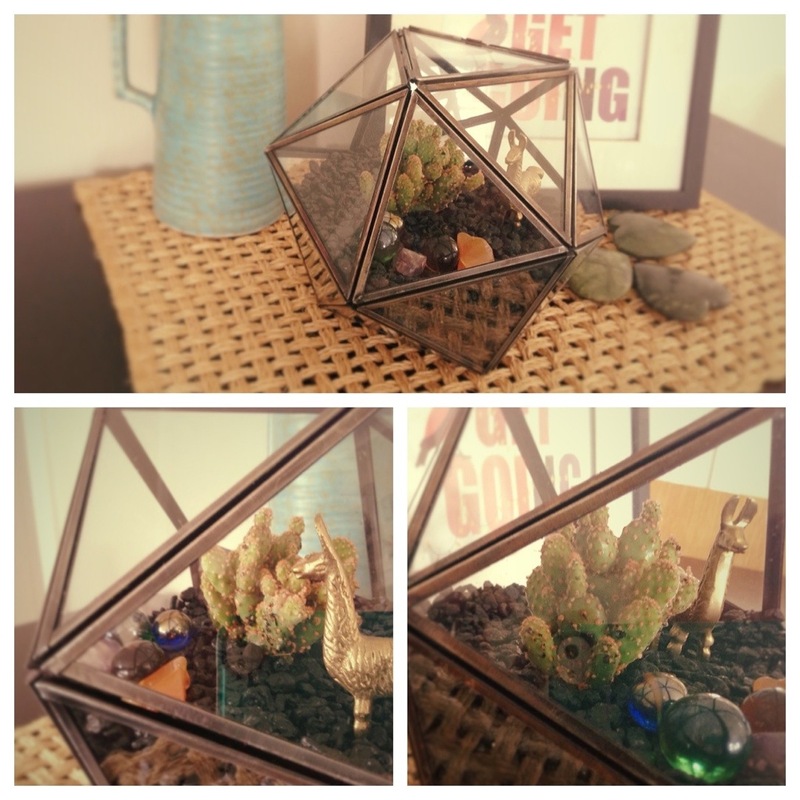 Before Christmas I ordered the Turning Triangles Terrarium from UO and miracle of miracles it arrived unbroken! Planting it was a bit of a mission, I bent a teaspoon to use as a spade and lowered my mini cactus (found at The Warehouse) into position with a lasso made from a paper towel. I love it.